In my last post, I mentioned some gargantuanally exciting news. Unbeknownst to you lot, Ashley of [insert title here] and I have been in cahoots, planning a Momentous Thing. The Momentous Thing is this: we're collaborating to host a writing link-up! Starting Sparks is a monthly link-up for writers. Some of you, if you follow Ashley, will remember that in the summer she ran a thing called Summer Writing Camp. Every two weeks she posted a prompt and we used it to write stories. Then we linked up and read each others' stories, and an excellent time was had by all. Then Summer Writing Camp came to an end! I found it super, super helpful to be hit with a prompt and have to write a story about it. Maybe it's just me, but having worked on the same novel for over two years I've become very set in my first-person-present-tense-teenage-girl-narrator-high-fantasy ways (that's a mouthful). 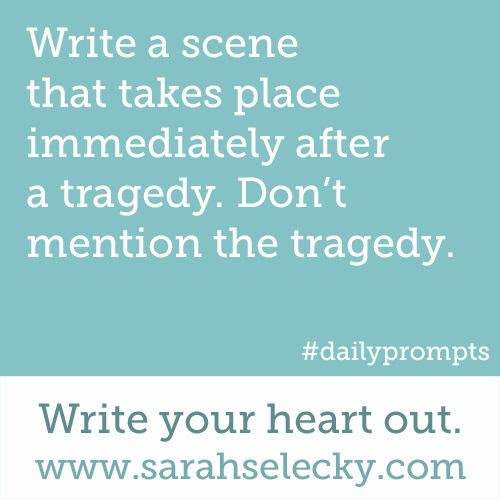 Prompts are great to spark your imagination, whether you want to write a short story, a poem, a random excerpt from something, or even play around with the characters you already have. Sparking the imagination is exactly what we're trying to do, the reason we're running this link-up; we are, if you like, starting sparks. Ashley and I will post on the 1st of every month and the link-up will run till the last day. Hope to see you linking up! Project SS has launched! I'm excited beyond excitement. I AM ECSTATIC!! Thank you for your sweet comment! I appreciated it. And this will be great blog party - i love to see we gather in the blog party. And you're such a creative young lady. I'm glad that make such a good plan for writting on,blog. I wish I could write such a thing like this and it's like i jave no idea about that hehe but ai would love to read your story. You're very welcome! It was lovely to read your blog again. I also love to see people coming together in a blog party -- it's always a great way to meet new people. Even if you're not participating it's so much fun to read other people's entries!